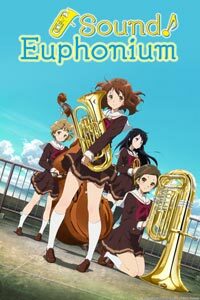 Kumiko played the euphonium for years, but never seriously. During the Kansai region completion, students hear the news they weren't chosen to advance to the national level. 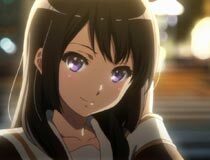 Kumiko never had high expectations, and makes an indifferent passing comment, only to look over at her classmate Reina with her tear filled eyes burning with frustration at the loss. That's behind her now. Kumiko decides to transfer schools to get a new start. She becomes friends with two classmates, but is filled with dread when they take an interest in joining the band. Kumiko goes with the flow, and inevitably ends up playing the euphonium yet again. Then Kumiko encounters Reina who apparently also transferred to the same school. This could be a chance to patch things up. Sound Euphonium is a slice of life anime, focused on a band trying to win the regional competition. 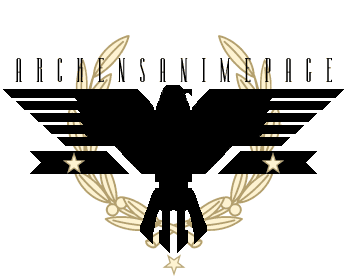 Nothing about this anime is especially edgy, so if action / drama is your thing you'll get bored with this one quickly. It's hard to say what's accomplished in any episode, because it's not clear what it's trying to do (until the end). It's not like the band is especially bad, so there is no sense of them being an underdog. The sense of hard work required in practice is there, but it's not what I'd call gripping content. Despite the bland setup, the characters are surprisingly strong with diverse personalities, emphasized by how realistic they are. 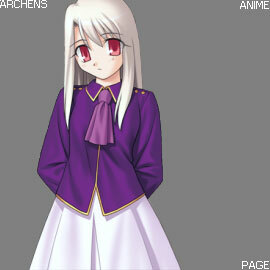 Complimenting the cast are their lovely character designs, and high quality production. It's visually stunning, well animated, with a unique sound track. When you add all this up, you'll probably forget how mundane this anime is underneath it all. I'm not sure what to say about the story. It meanders towards the goal of the band, with minor insignificant detours. What salvages Sound Euphonium is the way it cleverly comes full circle, which makes it feel like there was a point to the journey and that it accomplished something. From a technical perspective, this anime shines. Sound Euphonium digs into the nuances of musicianship and playing instruments. 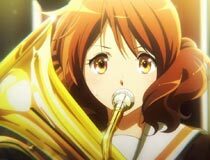 Things like the difference in clarity during the trumpet competition, and Kumiko's breathing mis-timed with her key-presses on the euphonium when learning a difficult piece, require in depth understanding of brass instruments. Probably not of interest to most, but a cool feature if you're into it. Everything about this anime is high quality, except the big gaping hole where a substantial story ought to be. The story in its place isn't bad, it's just there. Because of that, I'm not sure I'd recommend this anime unless you're into slice-of-life stuff, and/or interested in the band setup. For a change of pace with strong characters, Sound Euphonium is a legit choice to consider. Haruka: We agreed not to talk to the new students too much, so we don't scare them, remember? Asuka: What? They're already terrified.